We did Thanksgiving at Christmas for half of the family this year so I have been very busy designing and making hats for the fam. I made this hat for my 3-year-old niece who loves kitties. 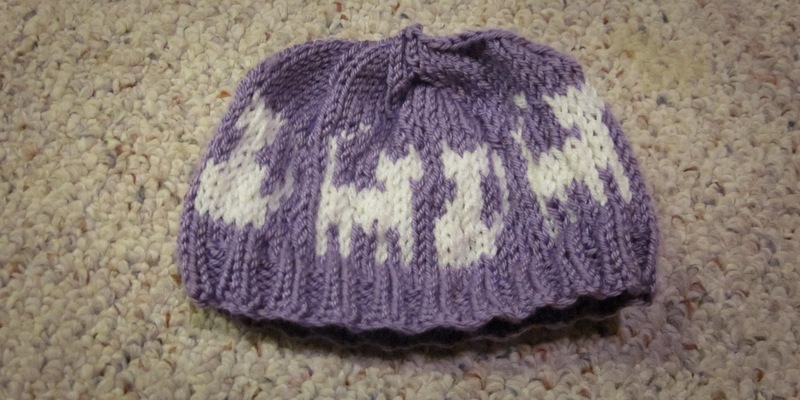 I used a lilac purple for the hat and cream for the kitties. 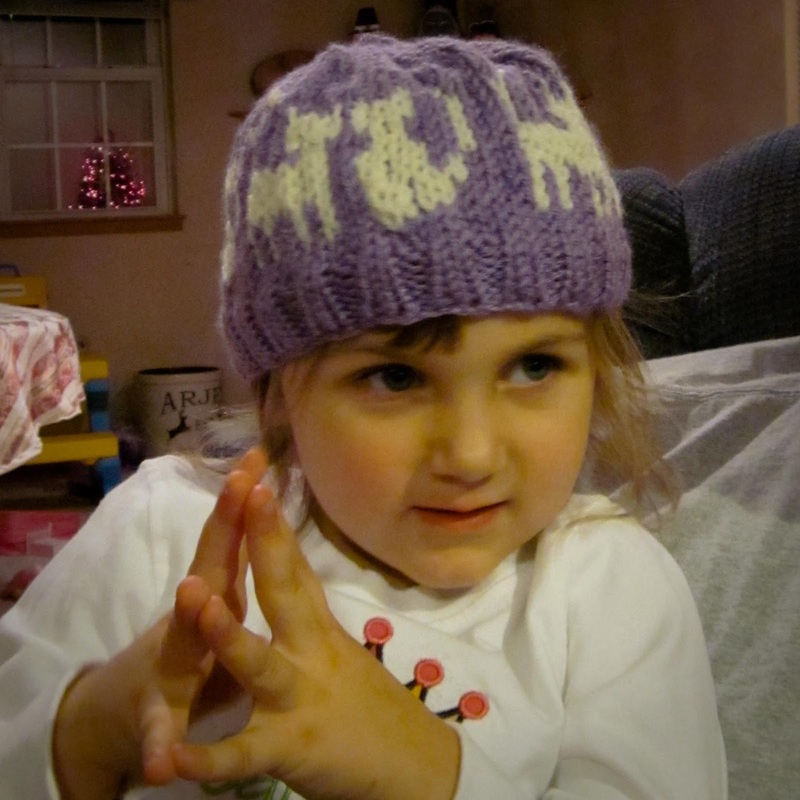 The pattern for the hat is found here and information about the pattern is here. 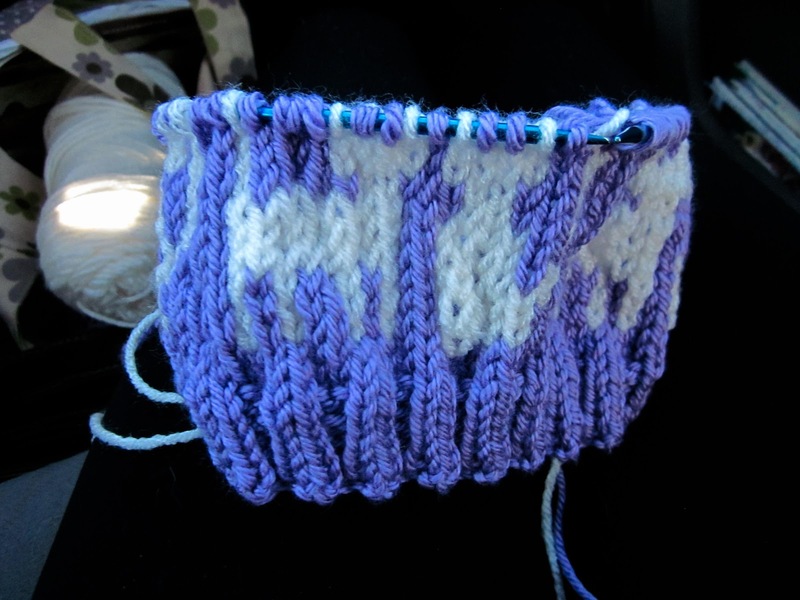 It is relatively simple and uses color work. If you need to learn how to switch colors, here is a good tutorial for color work. I considered embroidering on cat eyes, nose, and whiskers, but I thought it looked good without those embellishments. I made this hat almost entirely on my 5 hour ride home for Thanksgiving! 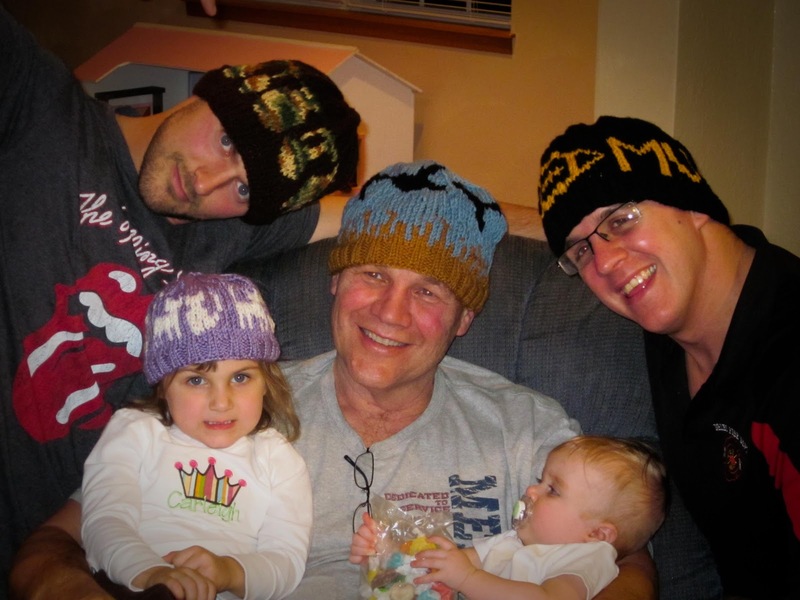 Stay tuned for more patterns for my stocking hat gifts!